SACRAMENTO, Calif. — Despite impassioned objections, the California State Senate approved a bill on Thursday that would allow some elderly and disabled people to seek help in killing themselves through lethal doses of drugs. 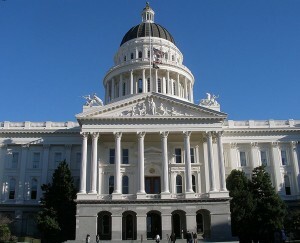 SB 128, also known as the “End of Life Option Act,” was passed by the Democrat-controlled state Senate in a 23-13 vote. If made law, it would allow adults suffering from illnesses that doctors say will lead to death within six months to obtain drugs to kill themselves immediately. The measure, which was inspired by Brittany Maynard, the 29-year-old San Francisco Bay Area resident who moved to Oregon to kill herself last year after being diagnosed with brain cancer, was modeled after Oregon’s “Death with Dignity Act” that has been in place in the state since 1997. Maynard, who killed herself on November 1, 2014, and her family lobbied for the California legislation. Should the proposed bill become law in California, the most populous state would join Oregon, Washington state, Montana and Vermont in permitting some form of what is often referred to as physician-assisted suicide. SB 128 is now moving to the state Assembly. Jonathan Keller of the California Family Council, whose group seeks to educate Californians on matters of life and family through a “Christian worldview and objectively-confirmed research,” stated that the proposed legislation would “open the floodgates of suicide and euthanasia” in the state. “Defying the concerns of thousands of medical professionals, disability rights advocates, and pro-life citizens, the California Senate today voted 23-14 to pass SB 128,” Keller said. “The disastrous new legislation, referred to as the ‘End of Life Option Act,’ would open the floodgates of suicide and euthanasia,” he asserted. Keller, who joined in a chorus of opposition to the proposal, said that approving such a bill will lead to even greater abuses. “Despite the claims from the bill’s authors that SB 128 ‘protects patients,’ multiple studies and stories have shown the dangers of physician-assisted suicide. From Oregon and Washington to Canada and the Netherlands, patient abuse is rampant. And once a society legitimizes voluntary suicide, it often progresses to involuntary euthanasia,” Keller continued. According to Keller, SB 128 faced strong opposition on the floor. California Senators James Vidak, John Moorlach, Sharon Runner, Jeff Stone and Joel Anderson all rose to voice their opposition to SB 128. Drawing extensively from medical research, personal testimonies, and legal concerns, these state senators spoke out against the proposed legislation. However, several senators defended their votes in favor legitimizing suicide. “We expect SB 128 to be referred to the Assembly in the coming days, where our hopes are better for stopping this dangerous assault on human life,” he concluded.